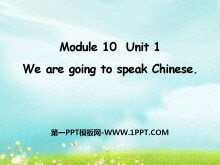 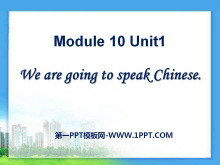 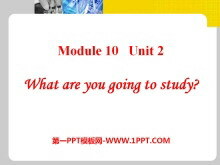 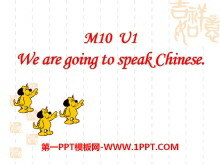 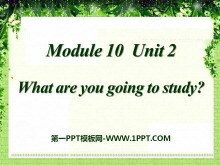 《What are you going to study?》PPT课件3 be am going to+动词原形 is are 用来表示按计划或要发生的动作，有准备；打算的意思。 I 用am;复数 （we they you 两人以上）都用are；第三人称单数（she he it人名)都用is wil..
《We are going to speak Chinese》PPT课件3 We just had the Spring Festival. 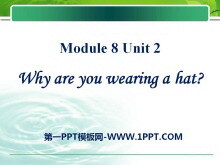 我们刚过完了春节。 What did you do during the Spring Festival? 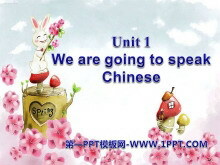 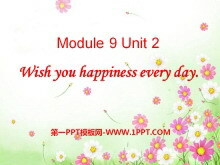 你们在春节期间做了什么呢？ Did you celebrate(庆祝) the Spring Festival? 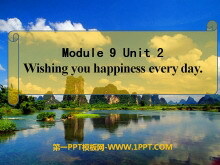 ..
《Wishing you happiness every day》PPT课件4 What is Lingling doing？ She is writing goodbye letters to all her friends at school. 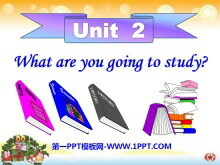 What does she write first？ First she writes a name of a friend. 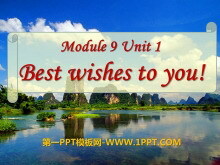 How many letter..
《Best Wishes to you》PPT课件3 教学目标 1.能够听、说、读、写单词：wishnearlyendprimarymessagekeepfuturehappinesswhat. 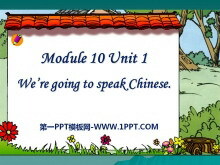 2.理解并运用短语：best wishessay good bye toprimary schoolgood luckgood ideaon the earthfor ..
《Why are you wearing a hat?》PPT课件3 Review cup [kp]杯子 planned [plnd]计划（plan的过去式） baseball [besbl] 棒球 more [m]更强烈的 smile [smal] 微笑 mistake [mstek] 错误 with [w] 与。。。有关 said [ sed] ..